Welcome! | Next Page Please! Hello! Welcome to my blog. My name is Kaitlin and I blog about all things Young Adult. If you would like to learn more about me check out my About page. Want to know what I am dying to read? 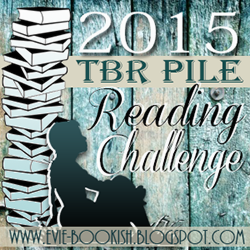 Check out my TBR List! If you want to read an interview I did with an author check out the Interview page! What book reveals, book blitz, or book blasts have I done. Well you can see by checking out my Promotional Posts page. Kaitlin, what books have you reviews. Well you can find all of them by going to my Review Index page. What i’m currently reading, what Goodreads groups i’m in or how far I am in the reading challenge. Find out my visiting Book Extras! Are you a publishing company and are interested in reviews? Check out my Review Policy and Contact page to get more information. You want to keep up with YYaMY (abbreviation for this blog) make sure to subscribe to Weekly Newsletters! Wondering what book to read next? Go to the Recommend a Book page and you’ll find details about that.